Here are the best St. Petersburg Florida beaches for you to visit and enjoy. Families will enjoy the space provided at Clearwater Beach, St. Pete Beach and Treasure Island Beach has a width of 800-feet in one area. 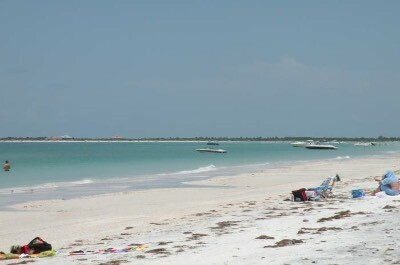 There are secluded beaches such as Caladesi Island State Park as well as Egmont Key State Park which are only accessible by private boat or ferry. At Honeymoon Island State Park you will find plenty of space along the shoreline to relax and Madeira Beach offers John’s Pass Village on the southern end. 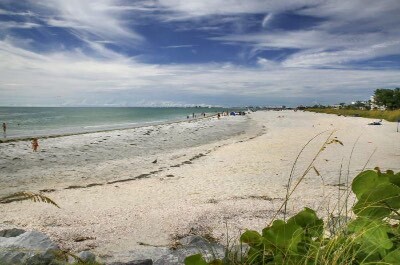 Sand Key Park is perfect for beach goers looking to snorkel and Pass-a-Grille Beach is a stretch of undeveloped beach that has a laidback atmosphere. Another great spot is Fort De Soto Park where you will find a combination of history, nice beaches and plenty of land based nature activities. Clearwater Beach is the perfect St. Petersburg Florida Beach with beautiful white sands and plenty of amenities along the shoreline. Located west of St. Petersburg on its own barrier island, Clearwater Beach stretches for over 2.5-miles from Caladesi Island State Park in the north to Clearwater Pass in the south. 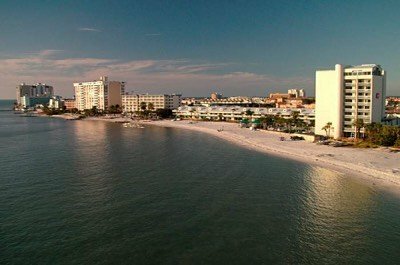 Clearwater Beach is superb for all types of beach goers with lots of white sand to relax upon and you will find swimming here to be excellent in the shallow waters that extend some 300-feet from the shoreline. Families particularly like this aspect because the swimming area is marked by buoys and does not allow for motorized watersport equipment. Other water activities along this long stretch of sand include fishing, snorkeling as well as standup paddleboarding and the Clearwater Municipal Marina can help with other watersport adventures. The beach area offers volleyball courts and a nice playground for children. Also along Clearwater Beach you will find Pier 60 which has numerous eateries and boutique shops as well as a nightly event called Sunsets at the Pier 60 where you will find street performers. Other facilities include lifeguards, restrooms, showers and concession stands where you can also find beach equipment rentals. One of the more popular St. Petersburg Florida beaches that attract all types of beach goers including families is St. Pete Beach. Located on Long Key, St. Pete Beach is composed of several beach areas that offer good access from Gulf Boulevard. The northern section is Upham Beach which runs from 71st Avenue to 67th Avenue and is quite popular with younger beach goers. Upham Beach has plenty of space for beach games and lounging as well as a few small beach bars which are popular during spring break. The main portion of St. Pete Beach runs from 67th Avenue to the Don Cesar Beach Resort around 22nd Avenue. This stretch of beach offers families more space with fewer crowds which helps with relaxing while watching dolphins play offshore in the Gulf of Mexico. The swimming is good and you will find a number of vendors renting watersport equipment as well as beach equipment. South of St. Pete Beach is Pass-a-Grille Beach which runs to the Boca Ciega Bay. Facilities along the beach front include restrooms, showers and concession stands. One of the widest St. Petersburg Florida beaches for beach goers to lounge, play games and soak up the sun is Treasure Island Beach. Located on Treasure Island Key, Treasure Island Beach runs south along the West Gulf Boulevard from 126th Street to 79th Street including portions of Sunset Beach. There are several access points to Treasure Island Beach from West Gulf Boulevard with plenty of parking. Treasure Island Beach has a great 3-mile stretch of white sand which is perfect for lounging and watching dolphins play in the Gulf of Mexico. You will find plenty of space around 107th Street where Treasure Island Beach is roughly 800-feet wide making this spot great for soccer, football and other assorted beach games. Swimming, standup paddleboarding, kite boarding as well as parasailing are popular and surfers like the southern section of Sunset Beach. You will find plenty of vendors with watersport equipment rentals as well as umbrellas and cabanas along the beachfront. There is a 1-mile boardwalk that follows the beach which is great for joggers and walkers. Facilities onsite include restrooms, picnic areas, a playground, showers and concession stands. One of the most convenient St. Petersburg Florida beaches to access for fun in the sun is Madeira Beach. Located on the southern end of Sand Key just north of John’s Pass Village and Boardwalk, Madeira Beach has more than 2.5-miles of beachfront along the Gulf of Mexico with plenty of area to lounge, play beach games, swim and there are other watersport activities available such as standup paddleboarding. Fishing is popular at Madeira Beach where you will find schools of grouper offshore and John’s Pass Village is considered to be the grouper capitol of the world. 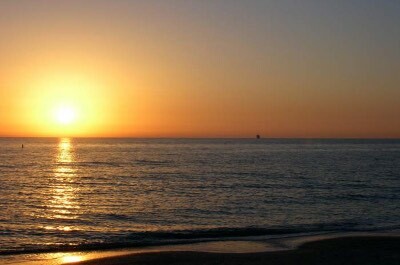 Madeira Beach is perfect for watching dolphins and sunsets as you relax on the sand or walk the beachfront. Just south of Madeira Beach is John’s Pass Village and Boardwalk which has over 100 merchants located in this turn of the century fishing village which range from eateries to souvenir shops to a pirate ship. Other facilities include restrooms and showers. If you are interested in visiting an old fashioned St. Petersburg Florida Beach where you will find beautiful undeveloped shoreline then you should plan a trip to Pass-a-Grille Beach. Located on the southern section of St. Pete Beach, Pass-a-Grille Beach runs south from the historic Don Cesar Beach Resort on the northern end until you reach the Boca Ciega Bay and has many access points off of Gulf Boulevard. 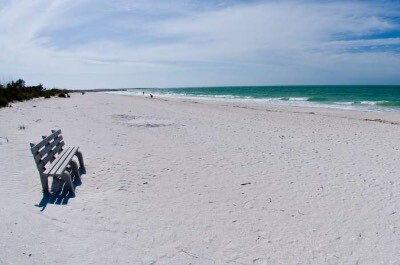 Pass-a-Grille Beach is a 4-mile stretch of undeveloped beachfront with plenty of sand for you to enjoy along with excellent swimming and families will be pleased with the shallow water. Other favorite activities at Pass-a-Grille Beach are dolphin watching, fishing as well as sunsets and many visitors will also explore the uninhabited Shell Key Preserve. Pass-a-Grille Beach has a laidback atmosphere which is ideal for all types of beach goers. You can find a variety of restaurants and retailers along Gulf Boulevard but you will not find any resorts or high-rise buildings occupying the shoreline. If you like historic buildings take a short walk from the beach at 8th Avenue where you will find a National Register Historic District. Other facilities include restrooms and showers. One of the most interesting St. Petersburg Florida beaches for all types of beach goers including families is Fort De Soto Park. Located southwest of St. Petersburg, Fort De Soto Park is composed of five separate keys (islands) which are Mullet Key, St. Jean Key, Madelaine Key, St. Christopher Key and St. Jean Key. Fort De Soto Park contains over 1,100 acres and is accessed by a series of toll roads that connect the five keys. The park has 3-miles of white sand beaches and 7-miles of waterfront for you to explore. 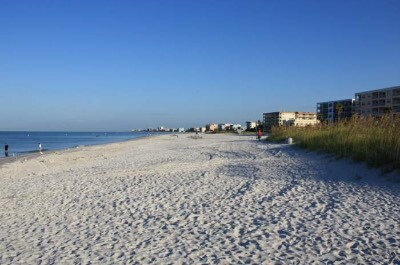 The two most popular beaches are East and North which are connected by a 6.8-mile paved trail that allows access from the campground and continues to Fort De Soto. There are three swim centers with two at North Beach and one at East Beach. While at Fort De Soto Park you can explore the historic fort and visit the Quartermaster Museum. There is a 2.25-mile canoe trail that takes you through a mangrove forest and almost 2-miles of nature trails. Other facilities include two fishing piers, concession stands, an 800-foot boat launch, eleven boat docks, restrooms, playgrounds, picnic areas and a ferry service to Egmont Key State Park. 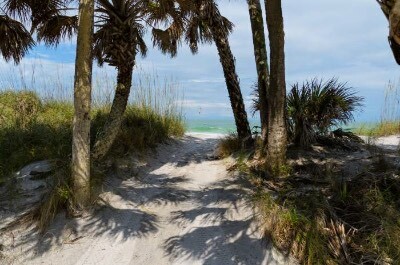 Beach goers who are looking for a St. Petersburg Florida Beach that boasts plenty of white sand combined with numerous activities should plan a visit to Honeymoon Island State Park. Located across from Dunedin and St. Joseph Sound, Honeymoon Island State Park is situated on the far western end of Causeway Boulevard and is accessible by car as well as boat. Honeymoon Island State Park was created in 1921 when a hurricane split a larger barrier island known as Hog Island into two pieces. Today Honeymoon Island State Park offers more than 4-miles of beaches which are ideal for relaxing, swimming, snorkeling and beachcombing. Other activities that are popular activities include surf fishing, kayaking, canoeing and surfing. Honeymoon Island State Park has an interpretive center with interactive exhibits, bike paths and you can hike on 2.5-miles of nature trails through a virgin slash pine forest. Honeymoon Island State Park offers ferry service to Caladesi Island State Park along with other facilities such as restrooms, a concessions stand, watersport equipment rentals, showers, gift shop, a playground and picnic areas. 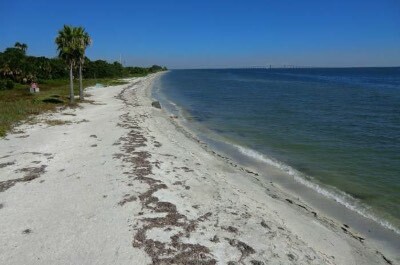 Caladesi Island State Park is an ideal St. Petersburg Florida Beach to visit for beach goers who like pristine sand along with land and water based activities. Located west of Dunedin and north of Clearwater Beach, Caladesi Island State Park was originally part of the larger barrier island known as Hog Island. After a hurricane in 1985 filled in Dunedin Pass Caladesi Island State Park was connected with the northern portion of Clearwater Beach and today is accessible by private boat or a ferry from Honeymoon Island State Park as well as by foot north of Clearwater Beach. Caladesi Island State Park has consistently been ranked as one of the top 10 beaches in the United States by Dr. Beach and offers perfect conditions for lounging, beachcombing, swimming and snorkeling. Other activities that are popular are kayaking, canoeing and surf fishing. 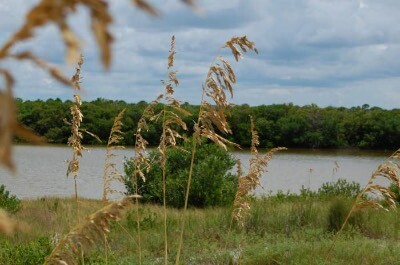 Caladesi Island State Park boasts over 3-miles of nature trails where you will find wildlife viewing opportunities. There is a full service marina where you can dock and overnight boat camping is permitted. Other facilities include restrooms, a concessions stand, picnic areas and a playground. One of the most remote and secluded St. Petersburg Florida beaches is the Egmont Key State Park and is perfect for travelers who like to combine culture, history and nature. Located southwest of For De Soto State Park along the Tampa Bay Shipping Channel, Egmont Key State Park is listed on the National Register of Historic Places and is only accessible by private boat or you can take a ferry from Fort De Soto State Park. The island offers pristine beach areas for you to lounge, swim as well as snorkeling and shelling is popular along the shorelines. Within the interior of Egmont Key State Park you can explore a lighthouse that was built in 1858 as well as historic Fort Dade which was constructed in 1898 during the Spanish-American War in 1898. There are plenty of activities such as hiking on established nature trail, birdwatching as well as fishing and there is a large concentration of gopher tortoises within the interior of Egmont Key State Park which make for excellent photograph opportunities. The only facilities on the island are restrooms so you need to bring everything with you including drinking water. Sand Key Park is an ideal St. Petersburg Florida Beach for families and other beach goers who are looking for soft white sand and plenty of onsite amenities. Located on the northwestern shoreline of Sand Key across the Clearwater Pass from Clearwater Beach, Sand Key Park is situated on 95-acres of beachfront as well as grassy areas. Sand Key Park has beautiful white sand with plenty of area for sunbathing, beach games and swimming is good. The park has contains an artificial reef which is maintained by the Clearwater Marine Aquarium and is perfect for snorkeling. The aquarium also provides protection for several species of sea turtles that nest on the sandy beaches. Sand Key Park has a boardwalk that will take to a salt marsh area where you can birdwatch. The park has plenty of space for picnics on the grassy areas where you will find barbeques and tables. Other facilities located at Sand Key Park include a concessions stand, seasonal lifeguards, restrooms, showers, a dog park as well as beach and watersport equipment rentals.